Data has become an important asset for businesses of all sizes and types. The hard drive is the primary storage device of any system, but it does not have a long shelf life. The hard drive irrespective of the brand, size or type is prone to data loss. Data loss can be a catastrophic event for any business. The good news is that there are effective data protection methods that can help recover files from damaged hard drive. Among all the data protection methods, cloud backup is said to be the most effective method to recover a hard drive data. A cloud backup solution enables a business or an individual to store their data electronically in a remote location, rather than storing the data locally on a physical disk such as a USB drive or external drive backup. The external drive also fails due to various reasons and without a proper backup it becomes difficult to recover external hard drive data. Only a professional data recovery company can help you get back the lost data even when there is no backup. Data Retrieval Ltd offers the best data recovery in London. It offering hard drive data retrieval services for businesses, organizations and home users who are experiencing a drive failure. The company specializes in failed hard drive recovery and broken hard drive recovery. The external hard drive data recovery cost of the company is highly competitive irrespective of the type of recovery required. The data recovery lab of the company is well equipped with all the latest UK data recovery tools and the technicians for safe and secure hard disc data recovery. The other services offered by the company are external drive data recovery, hard drive restore, data recovery from USB, raid drive recovery, corrupted hard drive recovery and failed hard drive recovery. Many small business owners still do not understand the importance of having a good backup solution. They are unaware that enterprise-level backup solutions are now within their reach at affordable cost. Small businesses do not have skilled staff who can advise them on the most effective backup system and as a result, they tend to get poor advice from self-styled experts. In addition to this, many of these small businesses feel that they are overwhelmed when they are given more technical information about the backup process. As a result, small business owners mostly choose the backup solutions that are easy to understand and they forget to understand whether it will be the most effective solution for the need of their organization. They also forget to understand that the poor backup solution needs to be supported and maintained by a special person, which adds to the overall cost and complexity of the solution. The cloud backup system can help to solve various backup problems. Having a cloud backup does not require the small business owner to have any data management or IT skill. It also does not require any capital outlay for hardware or software. 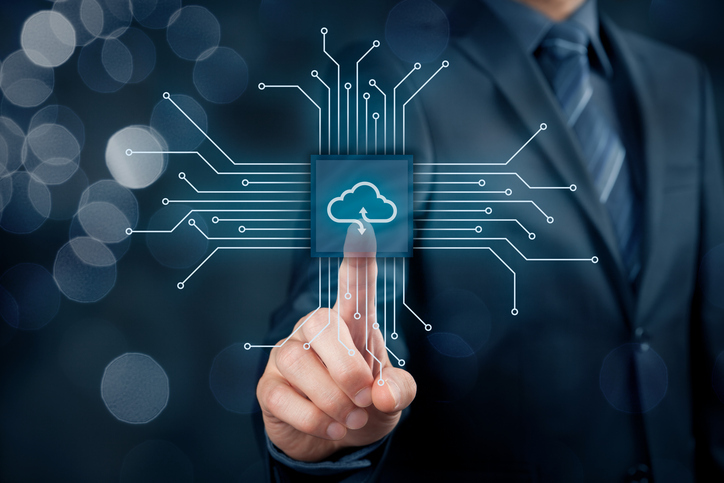 Another advantage of using a cloud backup service is that all backup processes are automated and no manual intervention is required from the business owner. Choose a service provider who will make it easier for you to access your data when you have a problem. A speedy response from the cloud service provider is important. Make sure there are no hidden costs to the service, such as sign-up or initial set-up costs. There should be clear terms of contract. Data loss is inevitable for all of us at some point of time in our life. It may be due to corrupted hard drive or broken hard drive. It is therefore important to develop a not only a backup plan but also a recovery plan to ensure that you can recover broken hard drive data quickly and efficiently in the event of data loss. Having a cloud backup can help you with easy failed hard drive data recovery and recover data from external hard drive.